The theme of this Box is based on Psalm 115:15 says, “May you be blessed by the LORD, the maker of heaven and earth.” Either you will be very blessed by its contents or you will be the “happy feet” that shares this with someone you love. 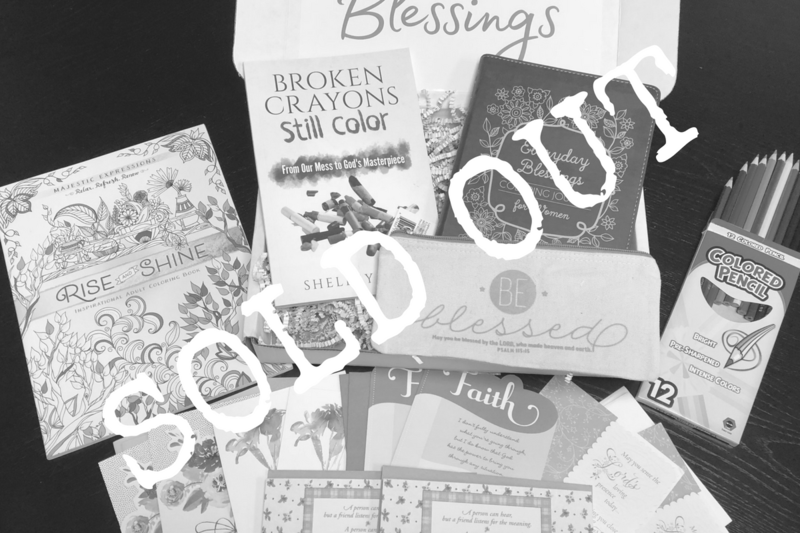 This Box contains: Broken Crayons Still Color by Shelley Hitz, the Everyday Blessings Coloring Journal for Women, Rise and Shine: an Inspirational Adult Coloring Book, the Be Blessed Pencil Bag with a set of 12 colored pencils and a pack of friendship cards from FairHope Notes. The retail value of this Box is $84.21. What a blessing!